Sunlight invigorates the workplace, but can also decrease productivity with glare and over-heating spaces. 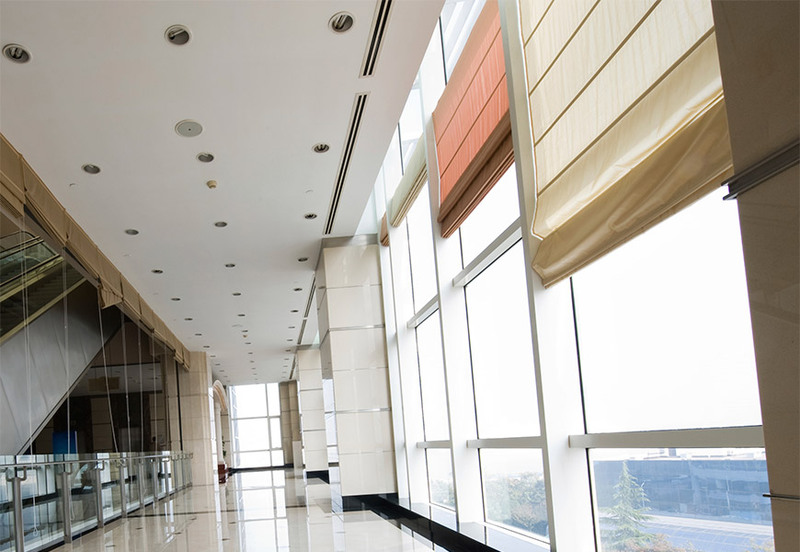 Regulate daylight in commercial spaces with a drapery control and shading solutions to lower energy costs and improve comfort. KOZI also installs Lutron® systems that can be automated and integrated with other controls for additional savings and comfort. Kozi Media Design is a certified installer of Lutron® Shade and Lighting. Contact KOZI for design, engineering, supply, installation - or all four! To learn more, call Kozi Media Design at 1-877-746-5694 or send us an e-mail.